Take your grilled cheese sandwich to another level! Start by making an apple, ginger and lemon juice chutney. 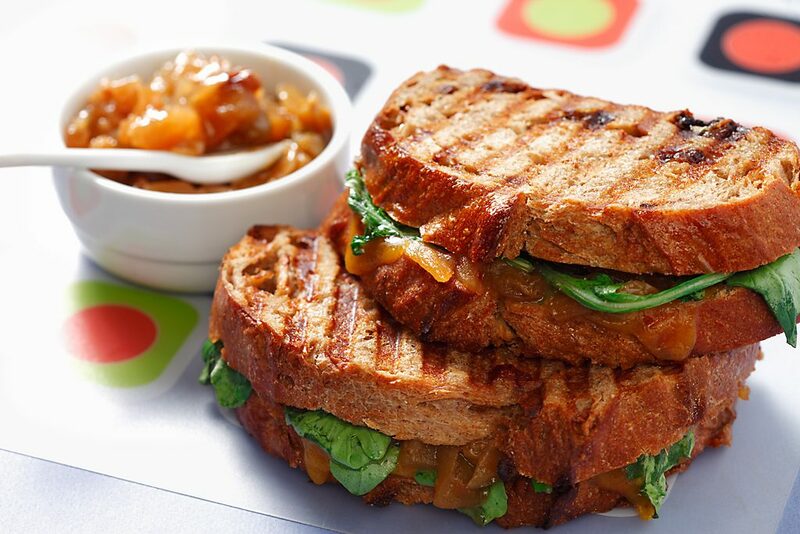 Use raisin bread for the sandwich and add chutney, arugula, sliced gala apples and cheddar cheese. 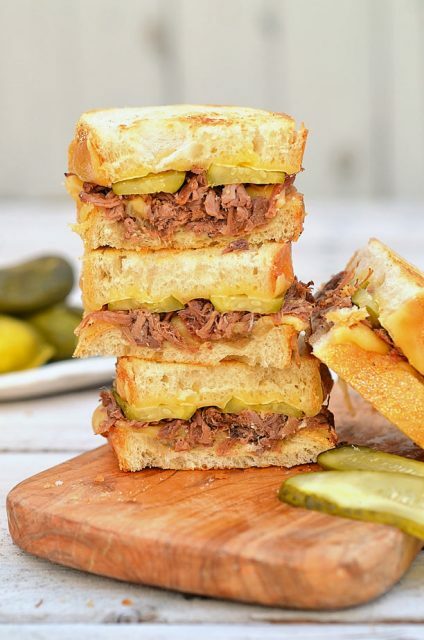 You won’t look at a grilled sandwich the same again. Great for lunch or as quick supper for those busy weeknights. In a medium saucepan, heat canola oil over medium-high heat. Add onions and sauté 3-4 minutes until onions have softened and appear translucent. Add apples and continue to cook 1-2 minutes. Add vinegar, sugar, pepper flakes, ginger, lemon juice and raisins. Bring mixture to a boil. Cover and reduce heat. Simmer, stirring occasionally, until apples are tender. About 1 hour. Refrigerate chutney for future use. Using 2 slices of bread, brush canola oil on one side of each slice. On panini press, or 10-inch stovetop pan, place one slice of bread oil side down. Add one cheese slice, a handful of arugula leaves, and 2 Tbsp (30 mL) of chutney. Top with remaining bread slice, oil side up. Grill on panini press, or in stovetop pan, over medium heat. If cooking in pan, flip once. Sandwich is done when cheese is melted and bread is golden brown. Cut and serve.